Do you feel as if you are constantly running out of space? Longing for an extra bedroom for friends and family? Or simply frustrated with running a business from the kitchen table? 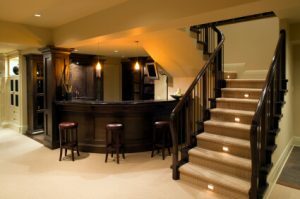 Our team of experts can help transform your dark, damp & uninviting basement into a beautiful and contemporary new living space. Whether you are looking for a warm and cosy family room, a light and airy office or that all important extra bedroom, Biocraft South West can help increase the size and value of your home. As a result of the current economic climate, moving house can be a costly and stressful process. Utilising some of the unused areas of your home could save you both time and money. Biocraft South West is considered to be one of the industry’s leading basement conversion specialists. With extensive experience, we offer a comprehensive and personalised service, ensuring a professional and friendly approach from design to completion. Our dedicated and highly skilled craftsmen will be on hand to ensure your project is completed on time and to the highest of standards. Biocraft South West’s personalised approach sets us aside from all other companies. We will work with you every step of the way, from design to completion to after-sales support. As one of the leading basement conversion specialists we are well versed in industry standards and offer full advice and support on planning applications, building regulations, structural and architectural design and calculations. Biocraft South west believes that every home is unique and should be tailored to suit our clients each and every need. A dedicated member of our team shall ensure that you receive the best possible advice when planning your project. From state of the art cinema rooms, to stylish and contemporary offices, to warm and cosy bedrooms, the possibilities are endless. Biocraft South West strives for perfection throughout every basement conversion we undertake and our consistency and experience allows us to deliver stunning results every time. Biocraft South West works to the highest standards and guidelines set out in British Standards 8102. Choosing the most appropriate system for any project is a vital part of any conversion, taking various factors into consideration including the type of construction, any potential movement between the wall and floor as well as the proposed use of the new space. 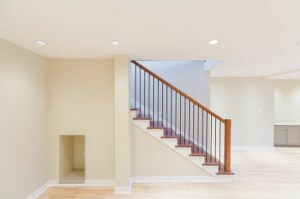 As one of the leading basement conversion companies we employ various techniques for damp proofing. These may include: the use of cement based coverings which are applied to the inner wall structure; using concrete admixtures which are best suited to newly constructed buildings and finally, installing cavity membranes which are fastened to the walls and floor. Throughout the last 10 years, cavity membranes have become the preferred method of waterproofing basements. 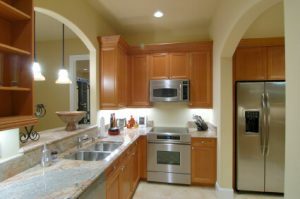 Over the years both architects and contractors have developed a greater understanding of their functionality and benefits. Cavity membranes are supplied as toughened studded plastic sheets, which are fixed using specially designed plastic fixings that form a watertight seal. Floor membranes are laid across the floor and are sealed to the walls using a wall/floor junction which forms a completely water-tight seal. Any moisture or ground water which penetrates the structure is controlled behind the membrane in the air gaps between the studs and is diverted to a suitable drainage point, using a drainage system of perimeter conduit or channels cut into the floor slab.